WhatsApp has over a billion users worldwide, and the Facebook-owned encrypted messaging app is particularly popular in Brazil, where it’s used by 93% of Internet users. Earlier this month, a Brazilian court shut down the app across the country after the company failed to comply with a court order demanding data related to a drug trafficking investigation. Evan is joined by Javier Pallero, policy analyst in Latin America for Access Now, and his American counterpart, Amie Stepanovich. 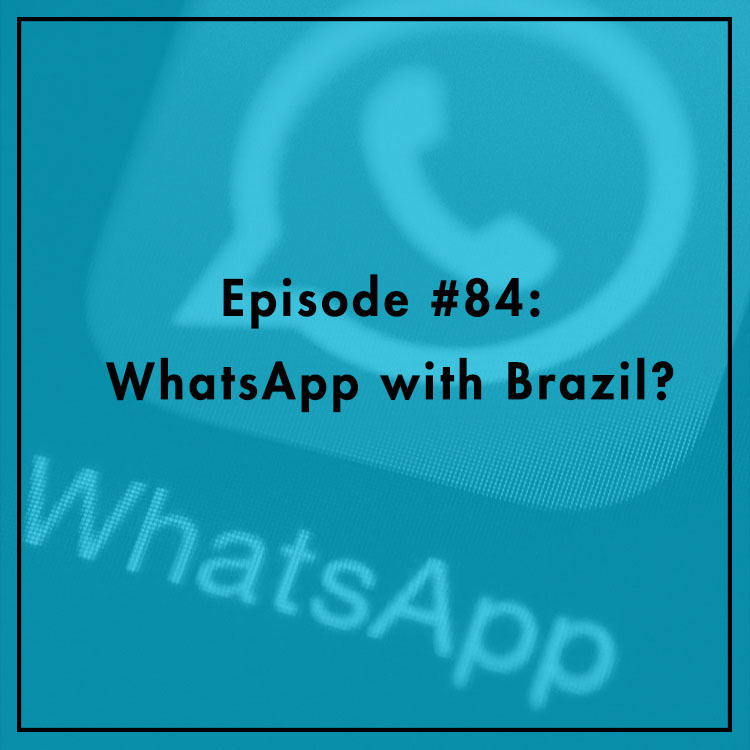 They discuss WhatsApp’s woes in Brazil and what the shutdowns mean for the broader global debate over encryption.